Being that I love getting in the community I was elated to have the opportunity to volunteer with local foundation Devote[D]. I met the founder, Desiree Lindsey, shortly after I moved to Dallas when we went to tea (yes, actual tea) with mutual friends. To be honest she may be one of the nicest souls I have ever met so when she told me about the non-profit I knew it was something this world needed. 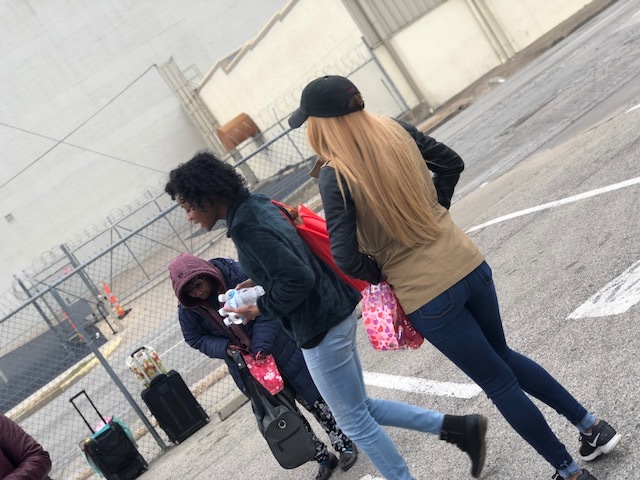 Her foundation looks to assist those in need to regain resources necessary through restoration and love with the help of volunteers in the Dallas community. Will you all pray for me? The gentleman had been on the streets since 2003 (for those not quick at math thats 15 years. One Five. FIFTEEN.) He had struggled with alcohol addiction but finally had been sober for months and got an ID to be able to go to a shelter. We stood in front of the library praying over him before parting ways. Selfishly I never think to volunteer or do for others outside of friends/significant other/etc for this day not realizing how all people need sometimes is just to feel special, not matter their current circumstance. Some people didn't even realize that it was coming up because they don't get the joy of celebrating moments like Valentine's Day. This day changed my perspective and made me realize how much more I could be doing. Chicago Brunch, What's Up With It?